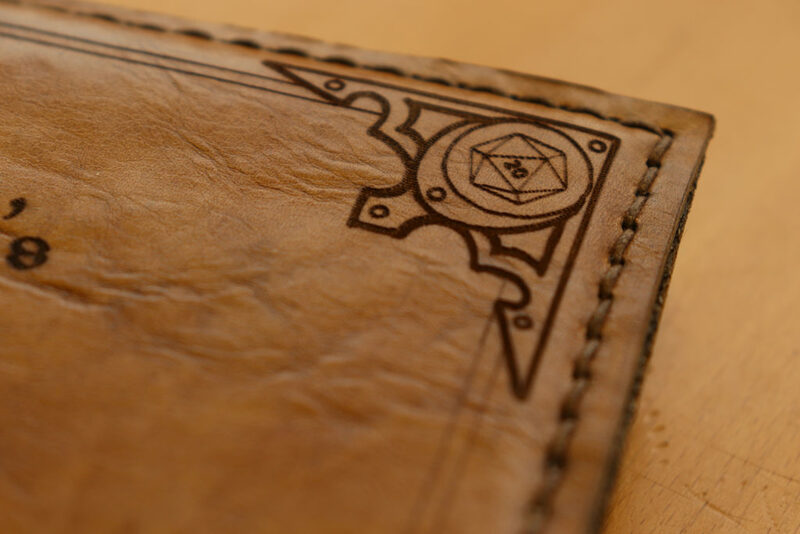 At the end of 2018 I started designing leather bookcover for my DnD friends. This grew into a series of designs I named the Gilded Archive. 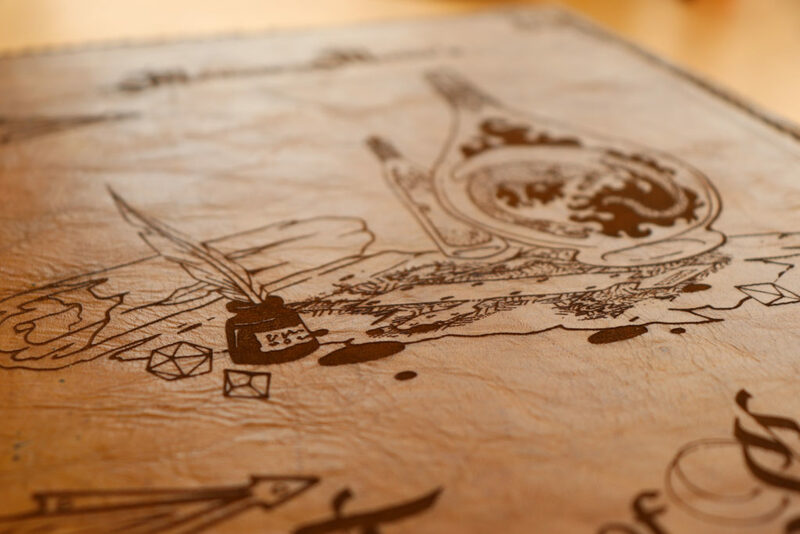 Each player is free to choose a design from the Archive and customize it to fit his or her desires, such as the color of the leather and the title of the ‘book’. 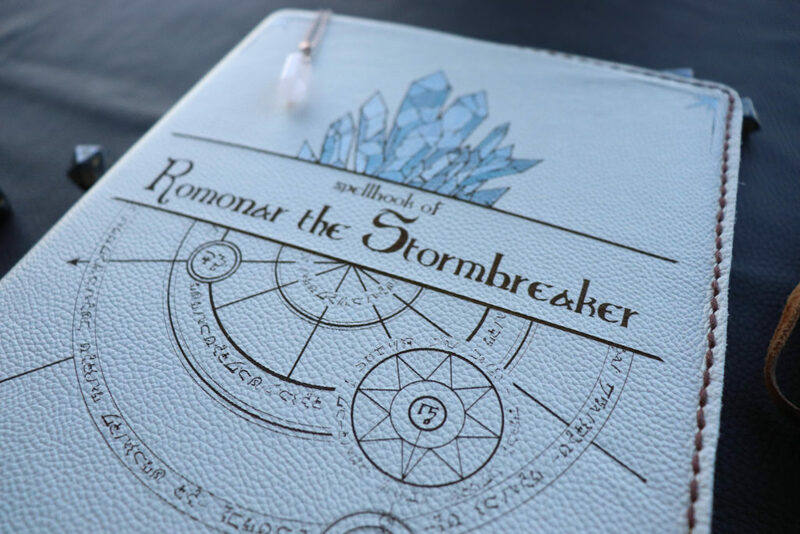 The cover is then made to fit around a standard 5E handbook or guide. Handpainted details and bright colored handstitched edges make the possibilities unlimited! 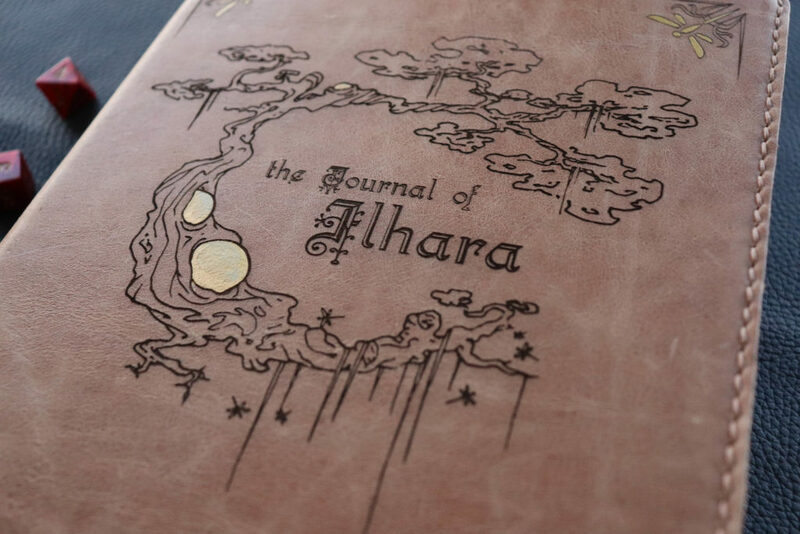 The Gilded Archive itself will keep a digital copy of the design, including a quote from the player commenting on his or hers favourite character, moment or adventure. This is how the Archive grows and builds, while the curator (Noor) learns to know more players. In order to achieve this, there will be a Kickstarter during February to fund this project. Want to keep updated on this? Follow any of the blogs!